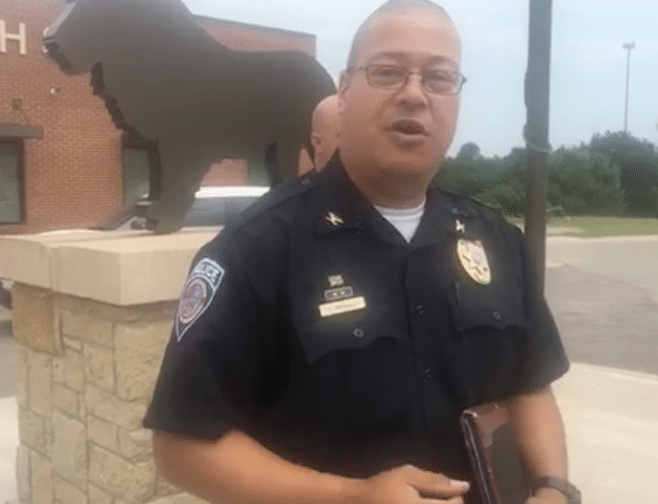 Luther Police Chief David Randall talked to reporters Thursday afternoon, following the morning stabbing at Luther High School in which a 14-year-old girl was stabbed up to 11 times allegedly by another 14-year-old male student. ‘The investigation is still getting information on why this senseless crime took place on the first day of school,” said Chief Randall. 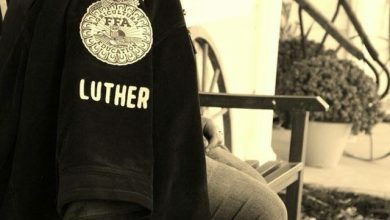 The Luther Register broadcast the news conference on FB LIVE. He said the victim is in stable condition at OU Trauma Center. “The juvenile suspect was interviewed in the presence of his father who wished to speak to legal counsel before answering any questions. The suspect was transported to Oklahoma County Juvenile Detention for processing,” said Randall. Since both the victim and suspect are minors, their identity will not be released by authorities. Meanwhile, Chief Randall chided the public for posting photos on social media. 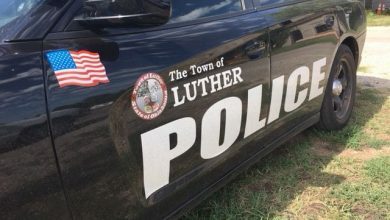 In fact, a concerned parent posted a graphic photo of the victim on the Luther Register’s FB post soon after it happened. However, the mother deleted it quickly and apologized for posting it, saying she acted from her shock and concern for her children. “Social media is not the place to put pictures of victims of crimes like this to let the world know. People need their privacy; give them their dignity; let them receive the care and let the investigation do what it needs to do,” said Randall. He praised the students of LHS as well as the faculty and staff for their cooperation, professionalism and courteousness during a difficult time. The school day progressed as normal as possible. While after-school activities were canceled for today, school and activities, including a high school football scrimmage, are planned to go on as normal on Friday. During Chief Randall’s news conference, a reporter asked him whether today’s suspect was the student who was expelled last school year for writing a “hit list.” Randall confirmed that is NOT the student who is today’s stabbing suspect.